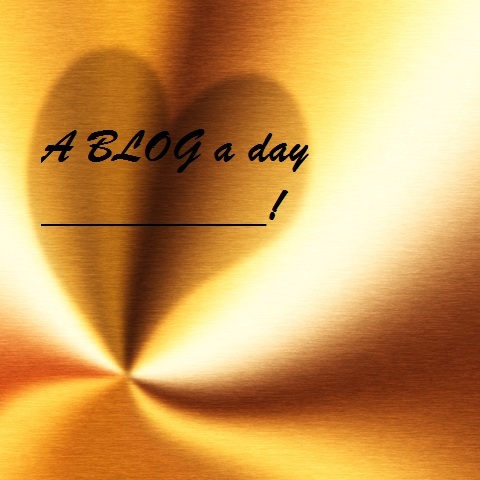 A blog a day keeps the ________! A blog a day keeps the creative juices flowing! For me! Each time I write a post when I hit the publish button I feel a positive sense of personal accomplishment. Something that I started and completed. Something I’m proud of. Something I want to share with others. All the rest is a huge bonus. People visiting and commenting. Visiting other blogs and commenting, various interactions that happen as you build relationships. Each adding to the other. But the posting itself. Putting together an article with information to share, writing a creative piece of fiction or nonfiction. Writing poetry. Sharing photographs that I or someone else has taken. Presenting an illustration that I or someone else has drawn. Expressing a viewpoint or concern. Celebrating an event. Passing on something new, entertaining or thought provoking. Just so many creative places to go when writing a post to blog. How about you? Why do you post? Have a blog? Write? I’d like to know! Share please, thank you! ← An infant’s viewpoint on their tomorrows! What a fascinating discussion you inspired here! I’m sorry to hear of the ‘movement’ which chooses to ignore anyone who blogs every day. They miss a great deal! I blog to help me find beautiful things and, many readers tell me that my things help them to find the best in a day too. I was unaware of the differences between bloggers in the US and Europe – perhaps because I have found so many like-minded people out there and, at the same time so many who have taught me so much about their different lives and ways of thinking and from all over the world. I do agree though that getting to all the blogs I want to read can be a pressure and requires me to balance life and blogging! I like to reply to everyone who comments as that to me, is part of the whole blooging thing (typo but I quite like it!) – making connections around the globe. Yes. I agree, Padmini, and I cherish our friendship even though we have not met face to face! Writing is a release unfulfilled in any other manner. You are correct, I agree completely sheri, well spoken. A blog a day keeps the madness staved off for another day! Who else in my life woud enjoy listen to me ramble on about books and other such things that occur to moi? it is the sense of acheivemnt too, that was a spot on point, people enjoying my words or anyone’s words never gets old, I am still surprised when even my regulars stop by. A blog a day keeps me upto date with you! Hi SteJ, hey you just recently had a blogging anniversary didn’t you? I must go read and check it out! And your rambling is of a most high caliber type of rambling. A distinction in and of itself my friend! Not only was it a blogging anniversary but a belated one, if that counts as an added bonus, I do like a good ramble, especially when I can ramble without setting foot outside. Yes and you do it so well! I started my blog for 2 reasons really. One I wanted to accomplish something on the computer by myself, without asking my teenagers how to do it. And second , it was the obvious choice. I was made an admin on a positive facebook site and I so enjoyed to post and spread happiness that I wanted to do my own. Hence my blog. Every time I post I feel also I have something accomplished and also I might have made some people happy or smile or even changed their way of thinking. Unfortunately I don’t have as much time as some other bloggers as I am working full time and have a houshold with 2 teenagers. I do enjoy blogging so much I do look in every day and every comment or like makes my day even better. I love all you bloggers, I have met such warmth and love out there, I sometimes am overwhelmed by it. Big group hug to you all! Thank you so much for your lovely relpy , I appreciate and cherish it! Wish much love Penny and a big hug ! …keeps the heart beating strong and enhances my feeling of connectedness, universal spirit and simply, being alive! I try to blog everyday because if I don’t, I go insane. My thoughts get bottled up and I almost get a headache from it. Hi – I’m RoSy. And – I’m addicted to blogging. I see it the other way round: A blog a day keeps creativity and visitors away. I just did write a post about it. I did a little research (as I have been a specialist for the theory of reception) about the frequency of blogging. Quite a lot of people find it much too much to have read every day a blog because they have more important work to do. As more you are blogging as fewer are the chances that folks will read your blog. On the other hand creativity needs time. With most of the bloggers I share the feeling that a high frequency of blogging means there isn`t much thought put into the blog. Well, it`s quantity instead of quality. You are welcome to read all the comments to this topic on my blog. Of course, I am European and I suppose we are more critical concerning consumerism and a blog a day is a kind of consumerism. Therefore there exist a movement don`t visit the “a blog a day bloggers” in Europe. Thank you very much Klaus for your gracious comments.There is certainly truth in what you express. I am learning (as I blog and read other blogger posts from other countries) much about the variety and richness of culture and differing opinions from people who live in other lands. It is interesting that the person who commented just prior to your comment is a Scandinavian individual who lives in both Germany and England and voiced quite a different view (opinion) from your own. The movement you speak of doesn’t seem to include many of the bloggers I visit and who visit me from Europe, the Central and Far East, Africa, Australia, South America and so on. So once again it is fascinating how unique and individual each blogger is. Sort of an entity onto his or herself, making their own choices about how and when they wish to blog. Whether a blogging piece is long or short, I can hope it is of a quality that the reader can enjoy. Sometimes I would rather read several short, well written posts than one very long one that just rambles and never gets to the point. To me it does come down to once again the individual blogger and their choice in things. One of the wonderful things about blogging for you and I is we get to make our own personal choices. About who we visit and about what and how often we blog. There are no “controls”. Of course it does follow that some of the blogs we visit we may decide not visit again – for many of the valid reasons you mention. Thank you so much for taking your time (a precious commodity) to comment here. One more note Klaus, you have a most excellent blog, which I failed to mention in my original reply to you. And greetings from the Northeastern Coast of North America! thank you very, very much to take your time for such a differentiated answer. I agree we all have our individual circles we are moving in. It probably has a lot to do with our different backgrounds. In my bloggoshere there quite a lot of bloggers I know from teaching at different universities in Europe and Canada. Most of These bloggers were researching about how texts are perceived (reception theory) and therefore this is a theme in our blogs. But a Canadian blogger made me aware about the difference of European and USamerican blogs in general. For the USamericans some European circles of bloggers seem to be quite elitist what I suppose we actually are. Anyway, you are right, we are all that different and the bloggosphere reflects the differences wihin the societies, of course. Well, we all have different reasons for blogging. I personally love to travel, read and do photography and have found a way of presenting it, sharing my work and read and get inspired by the great work of others. I want to be better than I was yesterday and visiting others help to improve my own skills and communicating with others on topics I find interesting is always stimulating. That’s the one thing. “A blog a day keeps the reader away…” What do you and your readers think about the effect on the reader when you publish daily? What is your experience? How long do you blog? How often did you blog in the beginning? I’m constantly reevaluating the time factor, how do you solve this problem, repaying the visits? Be Norwegian, living in Germany and England, I find a distinct difference the between the european and the american way of blogging. I love to blog, I blog because I like it and I spend a lot of my time with blogging. But there are lot of others things that I love too! 🙂 How do you solve this problem? Hi Dina from Cambridge. Excellent comments, thank you. I blog for the same reasons you do. As far as the time spent blogging and visiting other blogs, I think it’s a sort of “figuring it out individually” type of thing. For me I just love being creative or learning something and wanting to pass it on (especially that which inspires). About visiting blogs, I enjoy visiting other bloggers and visit as I can, I comment when the post I’ve just viewed reaches me in some way and I want to let the blogger know this. Also to be supportive and more interactive with others out there in this great huge planet of ours! For me all of life is about balance, online and off. And always a challenge coming up with the right mix. Thank you again, so much, for sharing your thoughts here. A blog a day keeps the mind intact. Also, bloggers form a much better community than social network sites. 🙂 There’s more rationale behind words and imagination and creativity. Un blog per condividere, confrontare e imparare la Vita! I blog to share the photos I have taken. To share my poetry, stories. To keep in touch with people that I would never have even thought of speaking to. I read the comments here and the thought that comes to my mind is as humans, how we all want to connect with others… all the time, in one form or the other, for any reason at all. It’s a beautiful feeling, to be a link in a chain that has no geographical boundaries. I’m completely with you mj. It’s almost a yearning isn’t it? The desire for connectivity (the personal kind of interaction). And you’re right it is a beautiful feeling to love and be loved, no boundaries of any kind – any! ah,i think that most bloggers see their cups more than half full – our cups runneth over, and we like to share our bounty! 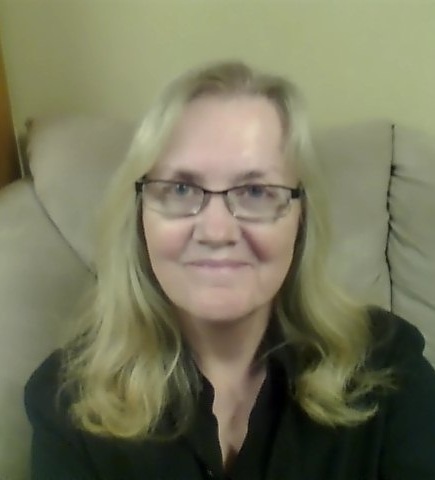 I started my blog because it’s part of my addiction therapy. But I write becauwse I have to write…I can’t imagine not writing! And my posts are often the only thing standing between me and falling of the recovery wagon. Blogging is helping me find my voice and setting me free from addictions! Thank you Kira. It’s exciting for me to hear you’re finding your voice, a wonderful self discovery (more women need an outlet like this) Okay, probably we all do! Right on! I agree! Thanks for the encouragement 🙂 And thanks for your great posts!